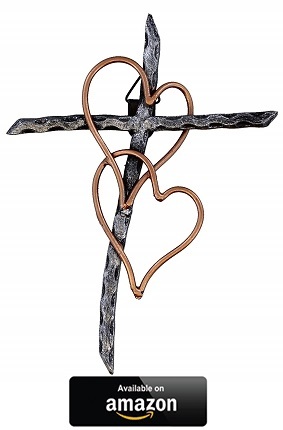 Expressing our love and devotion for the Lord can easily go hand in hand with how we choose to decorate our very homes. 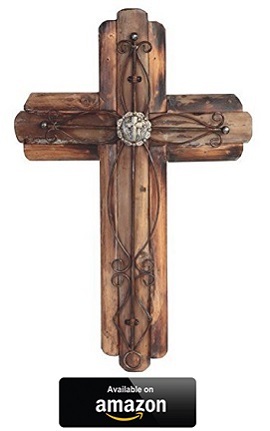 By incorporating an artistic and unique looking cross into our home decor, not only can we bring life and color to a room, we can also use these crosses as focal features. 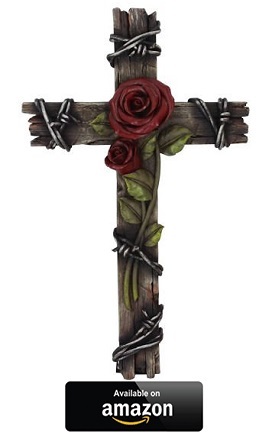 This is something that can be said for both Catholics and Christians alike, as the only limitation placed on Christians when it comes to the design of a cross, is the inclusion of a representation of Christ’s body, anything else pretty much goes (within reason of course). 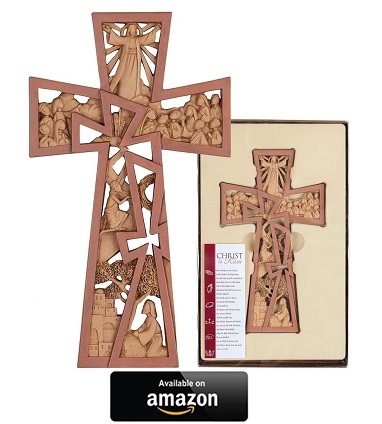 For more information on Catholic and Christian wall crosses, please read the following article; Wall Crosses -Variations and Suggestions. 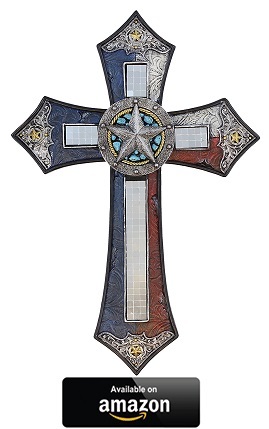 In this article we will be going over some of the various cross designs that are available on the market today. 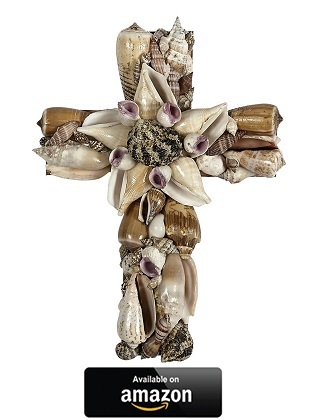 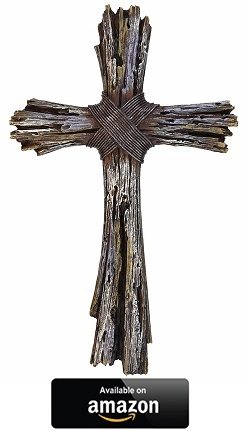 Given that a cross is allowed to be made out of almost anything, from plastics to wood, metals to stones, synthetic to organic materials, or even recycle/reclaimed materials, chances are, you could find a cross that just might suit your taste and style. 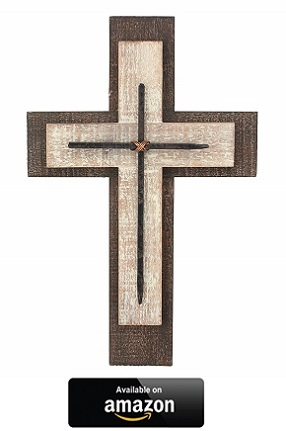 So hopefully with our help today, you will be able to discovers a cross design that could inspire your next remodeling project, or one that would complete your current layout. 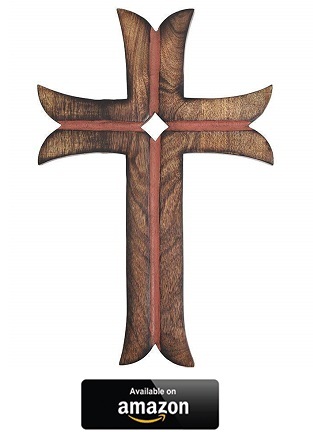 The humble wall cross can help to bring the lords love and protection to any room of the house. 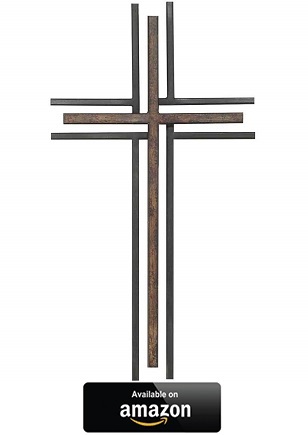 So don’t be afraid to include a cross in every room, be it the kitchen, living room, bedrooms, bathroom or even the garage. 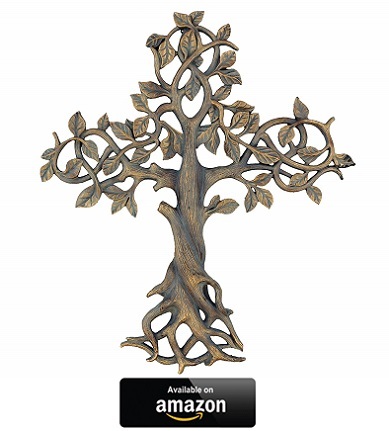 The lord loves us all and will appreciate your efforts to include him in your homes decor and day to day life. 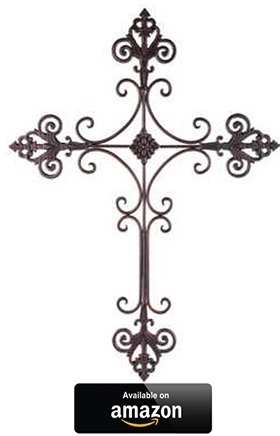 Choosing the right decorative style for your home ultimately comes down to your own personal tastes and preference. 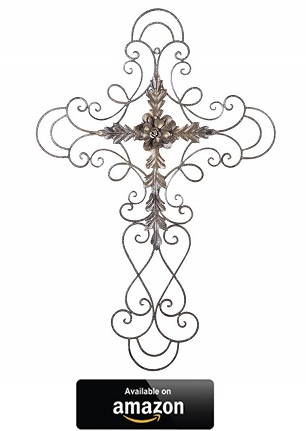 Below are a few of the more commonly available decorative designs that can be found on today’s market. 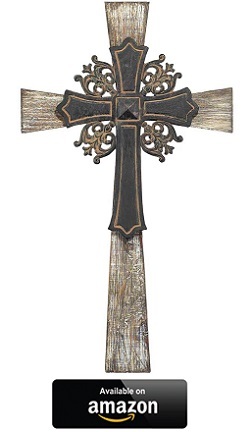 These types of crosses can be found with multi-tone color pallets. 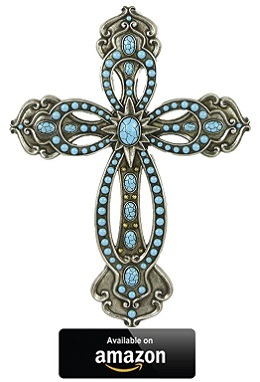 There may also be semi precious stones, Cubic Zirconia (CZ) or even precious metals used in their design. 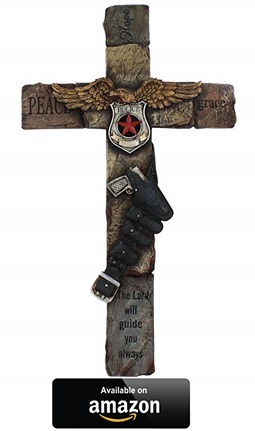 One thing to take note of, is that the general design is still reminiscent of various traditional crosses, but with a more modern and artistic decor twist. 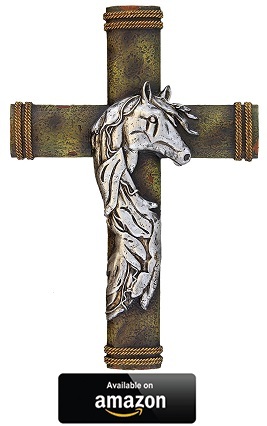 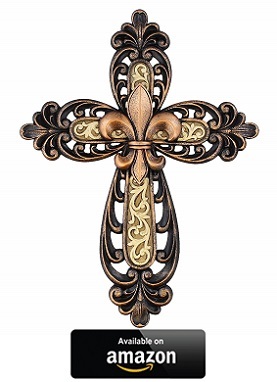 Using a stylized ornate wall cross is a good way to accentual any wall in your house. 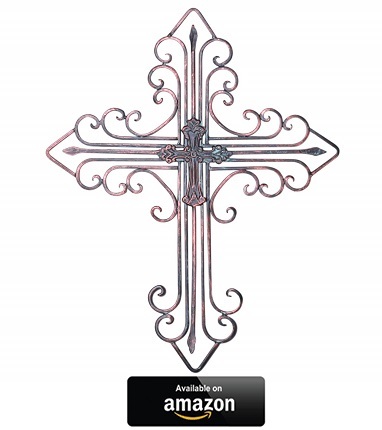 As they are available in many different shapes, sizes, colors and styles, chances are that you will be able to find one that matches the style of decoration you already use at home or in the office. 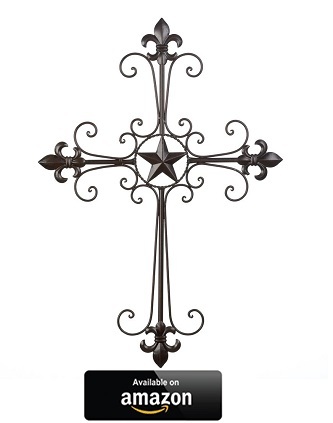 A simple change of color can turn a normal looking cross, into an eye catching piece that can compliment any room. 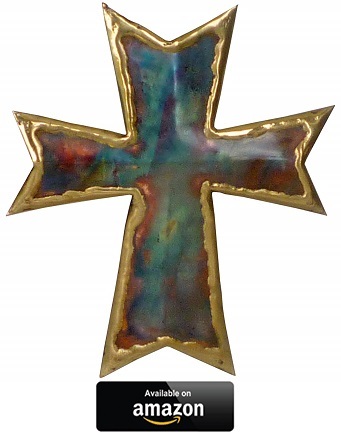 From bright and vibrant colors, to colorful images and patterns, a colorful cross can bring that little bit of extra color and life to a room. 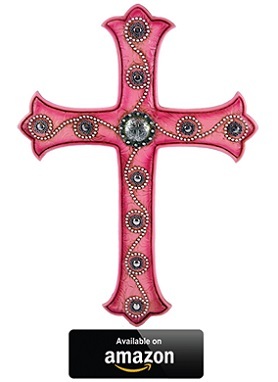 Colorful crosses are great for decorating the kids room, and make excellent gifts for young children. 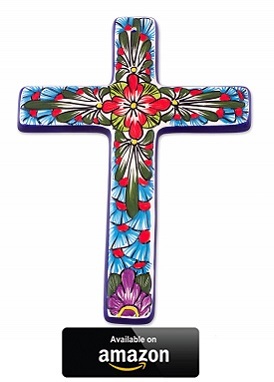 Brightly colored crosses are not just limited to children however. 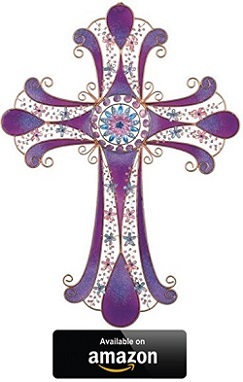 There are many adults that have a favorite color, or may even find certain colors to be soothing and offer a calming effect. 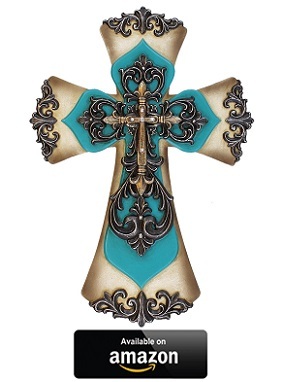 For these reasons, you may want to consider using a cross that brings that little bit of extra color with it. 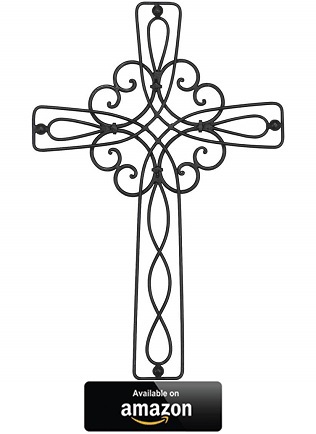 As we pray upon our rosary, we contemplate and mediate on the mysteries of Christ – the events from his life. 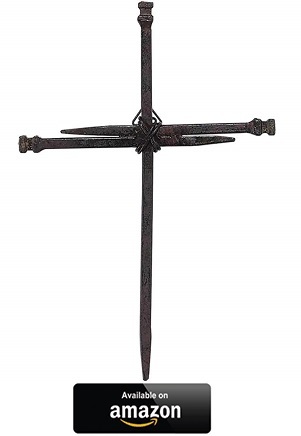 There also crosses that have been designed to retell the events from Christ’s life. 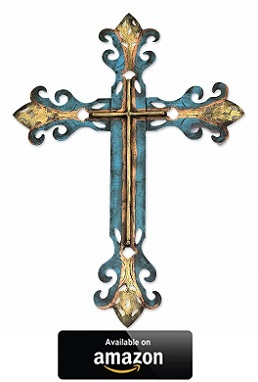 Some broadly cover his life as a whole, others tell specific events. 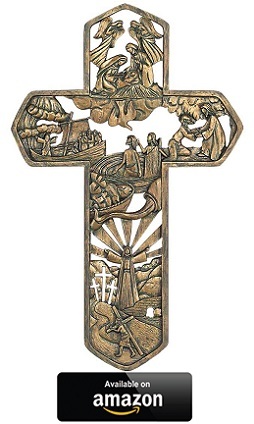 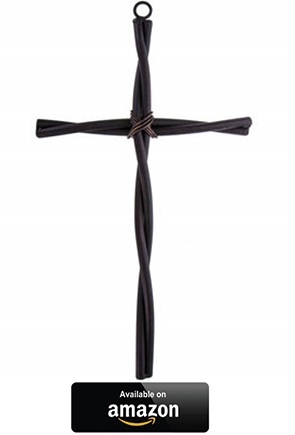 This type of cross is a great way of helping children to remember what they have been taught, with regards to the sacrifice and teachings of Jesus Christ and the Church. 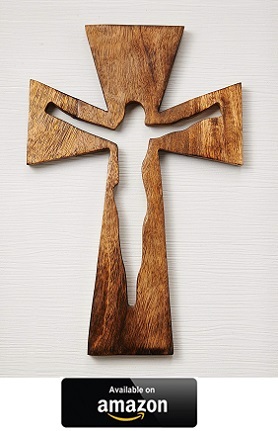 Wood is a traditional material that is used to make a cross, and has been used as the base material for crosses for centuries. 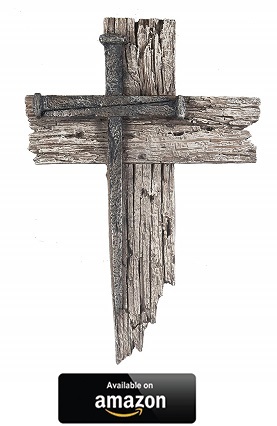 Today wooden textures, materials and appearances are still highly sort after by many Christians and Catholics. 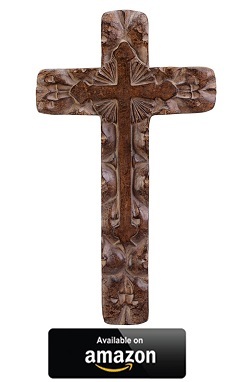 Thanks to modern technology, artificial wood, or faux wood as it is known in many industries, is being used more and more often to produce crosses. 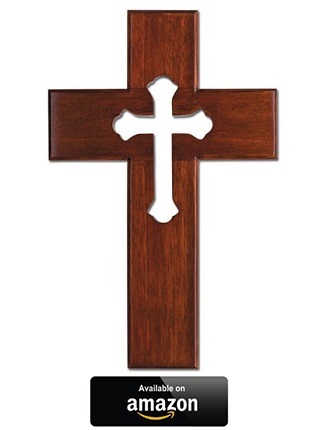 It is important for you to make sure that if you are looking from a real wooden cross, that it is not faux wood, pressed wood, or even resin painted and textured to look like wood. On the other hand, if your live in an area where wood can easily degrade due to environmental conditions, faux wood and resin, can still offer the wooden look, without the risk of the cross degrading. 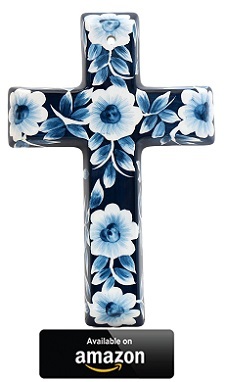 Consisting of scrolling curves, floral designs, or angler lines. 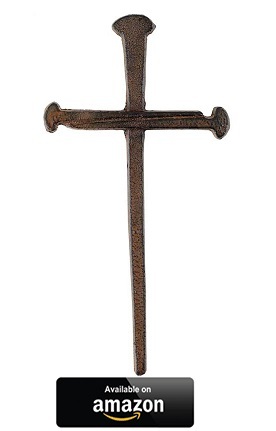 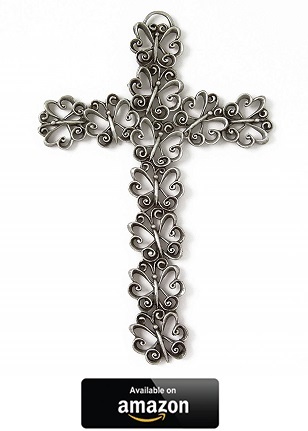 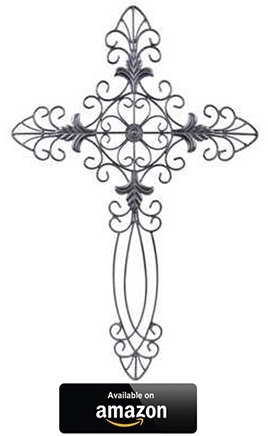 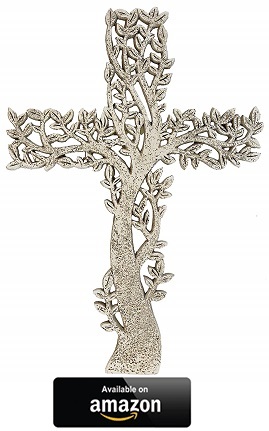 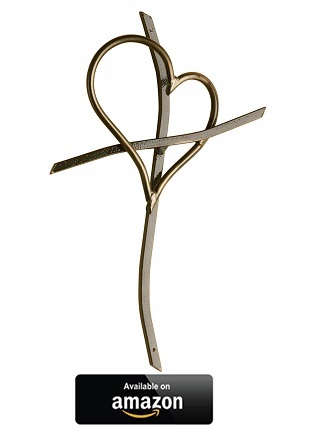 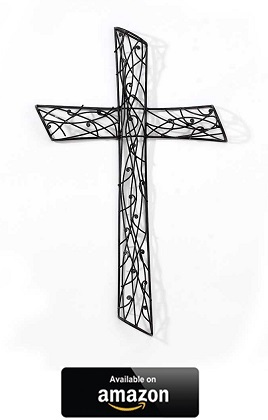 These styles of metal crosses, can have some of the most delicate looking and elegant designs imaginable. 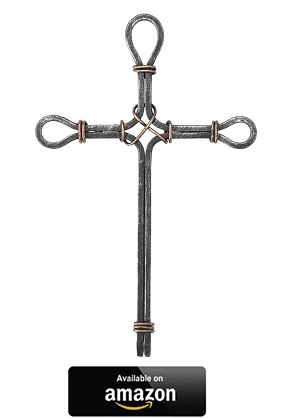 Based on the popular art styles from the Art Nouveau and the Art Deco time periods, these crosses can bring a sense of style and class that a traditional cross simply can not bring. 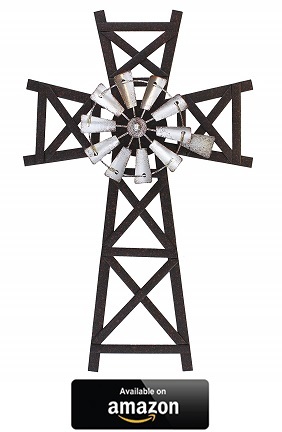 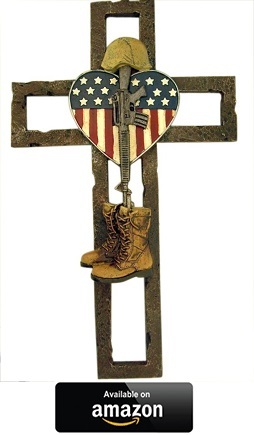 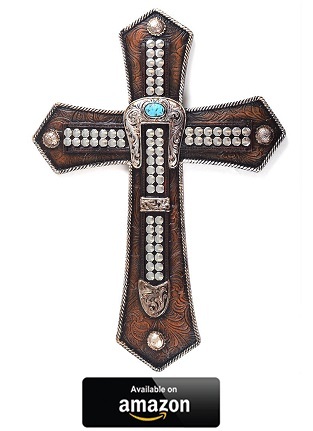 There are many designs of crosses that incorporate a country, recycled, or industrial feel. 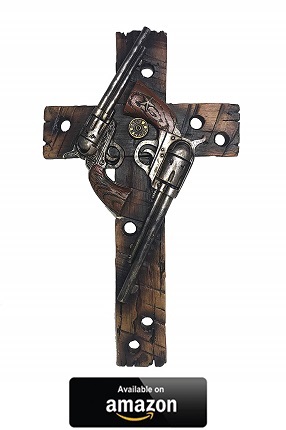 Some are made to look clean and artistic, others are crude and roughly designed, making them to look like they are made from salvage materials. 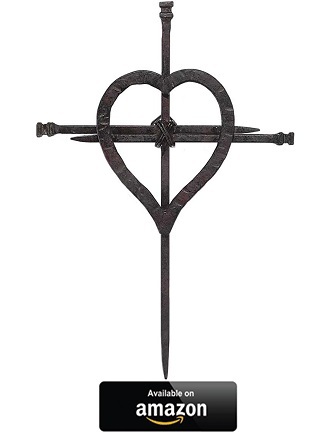 Much like the Ornamental Wooden designs mentioned earlier, these “rustic” designs could be made from real organic materials such as wood, steel, bone, or stone that has been reclaimed and re-purposed. 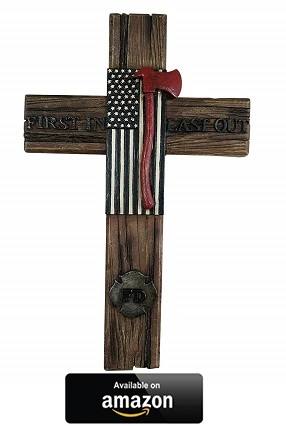 Or they could be made from resin or pressed woods, that are intentional made to look rough, for that rugged tough, mans man decor. 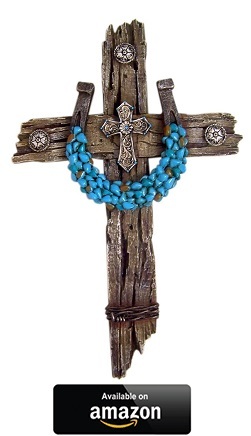 If you are looking for a rustic looking cross, be mindful of the materials being used. 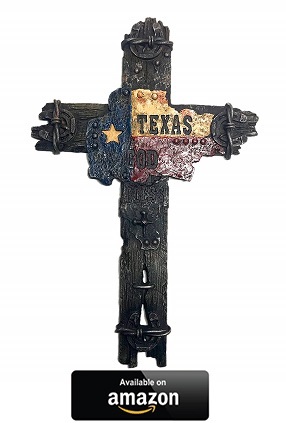 Real reclaimed stakes can rust and may stain your walls and weather wood could splinter. 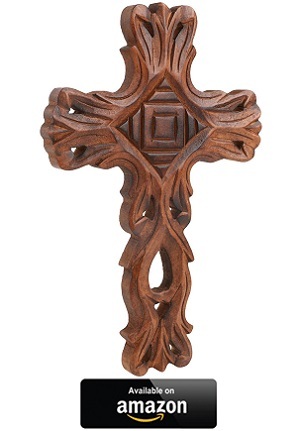 Choose a cross that not only suits the look you are after, but is also made of materials that are suitable for your home. 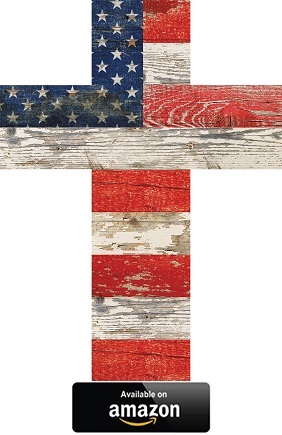 Though some people may find the idea of having a cross with the american flag across its face to be somewhat tacky, it nonetheless remains a good way for you to not only show your devotion to the lord, but to also showcase your patriotic pride, and longing for god to watch over your country. 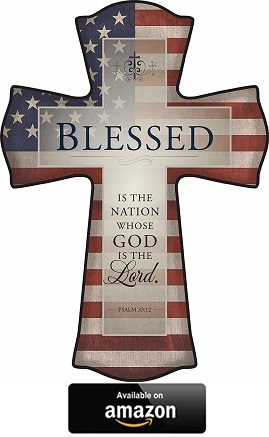 We are also able to do the same for our service men and women, by using a cross that directly asks god to watch over those who serve and protect our country. 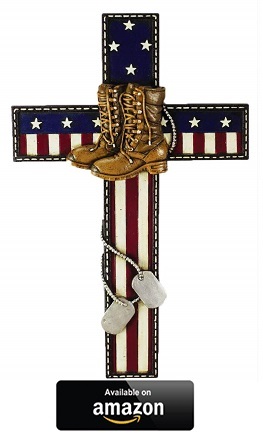 This is not limited to just American though, other countries such as Australia, England, and Canada, can also find crosses that support both their country and their service personnel. 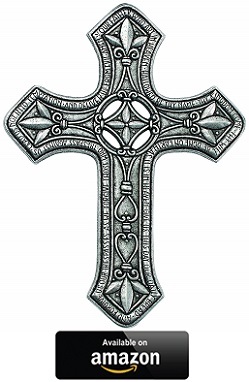 We owe our strengths and success to the grace of God. 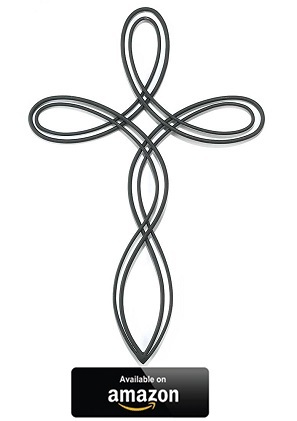 As such, there is a way for you to show god your appreciation for the skills that he has provided you. 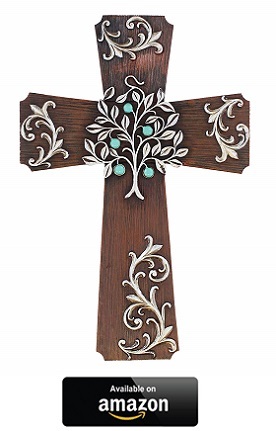 Or if you would like to invite god to watch over your activities, business or interests, you could consider using a cross that represents these things. 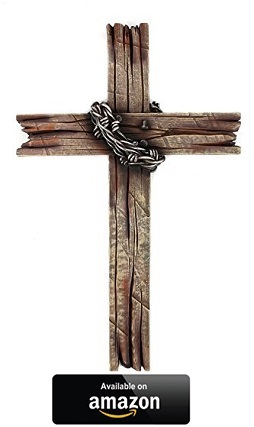 From music, to farming or general interests, there are crosses that represent many interests and skill sets, and can be used to show your thanks to God for what he has provided you, or to help seek assistance with the success of your business and your own performance.